Pretty Lights - A Color Map of the Sun: Derek Vincent Smith, better known as electronic music DJ/Producer Pretty Lights, released his first commercial album, A Color Map of the Sun, back in the beginning of July. This is not going to be a traditional album review. Instead, this is going to be a celebration of what was created. You may or may not be a fan of the type of music Pretty Lights makes or a fan of this genre period. But you have to respect what this man accomplished musically. Pretty Lights has a sound that is best described as a marriage of elements of rock, electronic music, and hip hop. At a time where a lot of your more popular electronic music is house, party electro, or ETM (Electronic Trap Music), Pretty Lights' songs prove that a song doesn't have to clock in at over 120 BPMs in order to get a crowd hyped. Pretty Lights has created mashups like the insane track If I Could Hit Switches Again featuring the late Eric Wright (Eazy E), as well as dope tracks like Hot Like Dimes and Still Rockin. Pretty Lights' multitude of influences and his genre bending approach to music make it difficult to classify exactly what his sound is. What is easy to hear is that he knows how to make it all work to the good. Which brings us to his latest release, A Color Map of the Sun. Where before Pretty Lights would pull verses and samples from a wide variety of music, laying extra synths, beats, as well as other sounds and effects to create something new, this DJ/Producer took it to a whole new level. Pretty Lights traveled to New Orleans and Brooklyn, getting into studios with all types of musicians. We're talking: singers, horn players, guitarists, drummers, the works. He worked with all these musicians and composed all original music; creating full songs out of jam sessions. After he finished a session in a city he would go and have all this original music put on wax. That's right, this dude created crates of vinyl of all original music. When he returned to his home in Denver, Colorado, he was even able to get Eligh and Talib Kweli to come through and spit verses on a couple of the songs he composed. 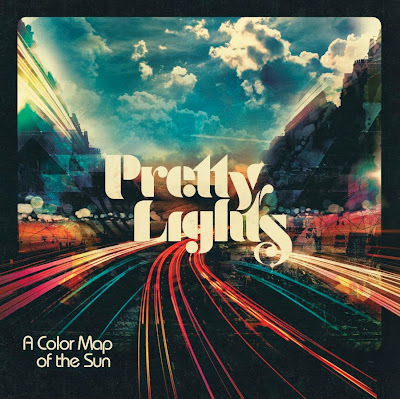 After putting in all this work to create this music, Pretty Lights went to work creating the songs that would become A Color Map of the Sun. All of the songs sampled and mixed together in this album are wholly from the studio sessions. The easiest way to get an idea of how he made it all work is to check the track Press Pause. You do not have to be a fan of this type of music to respect the scope of this album. I highly encourage anyone that reads this to follow the link and check out the documentary The Making of Pretty Lights' New Album: A Color Map of the Sun. You might just give the album a chance after watching it's creation unfold. With all the areas of influence he pulled from to create this, it will be hard to believe that there is not at least one track you can catch a vibe off of. Now go explore.